These are Performance Friction front & rear direct bolt on steel replacements discs with barely used PFC race compound pads. 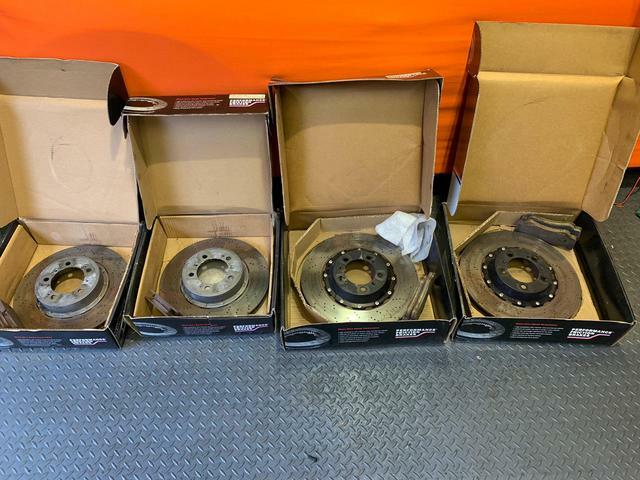 These are to replace factory PCCB discs & pads. They're barely worn in terms of thickness, having only done a few TD's. Discs are still mounted to bells and ready to bolt on. If someone wants exact part numbers please let me know as I can refer to purchase invoice from PFC. I'm looking for £500 + postage or someone is welcome to collect from Shropshire. Please send me a message here or text/call 07860 613414.